Video games, text messaging, sports, the arts, extracurricular activities and clashes with societal values seem to have effectively elbowed the Scouting movement from its prominence in Western culture. Perhaps it is just me mourning the loss of the “good old days”, but growing up I could not have asked for better preparedness training than the Boy Scouts. Be prepared. An anachronistic sounding isn’t it? It is like an old three-mast sailing ship that has been cut adrift, left rudderless and dragging its anchor, easily left behind by the sleek and sensual seagoing craft that dominate the busy seas of entertainment, relevance and life’s demands. Be prepared? What does it mean? Prepared for what? Who has enough time to be prepared? Things are changing so fast no one can possibly be prepared. Seven years ago, January 19, 2006, I was diagnosed with Parkinson’s disease. I was, to say the least, unprepared. Emotionally, relationally, professionally and medically I had no clue what I was in for. Of course, Parkinson’s disease is different for everyone who hears the words of that unfortunate diagnosis. 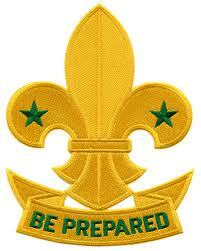 Unfortunately, in recent years I have found my busyness easily eclipsed the solid fundamentals of preparedness. Indeed, that Thursday, 2568 days ago, left me grasping for life-bouys just to keep from drowning in the overwhelming implications of my PD diagnosis. It still does in some senses. But, slowly, I’m learning. Like I did when I was 14. It was 1966. I had long since graduated from the “dib, dib, dob” of Cub Scouts, and was moving through Boy Scouts into what was then called Queen Scouts (shortly after renamed to Venture Scouts). One of the key challenges (badges) barring entry to what was then the highest level of Scouting involved a 72 hour “wilderness” survival camping trip. Accompanied by an older scout, Brian, I had to be prepared to navigate using a map and compass, build a bivouac from entirely natural materials, and survive on a very minimal and basic food supply accompanied by berries and edible roots, leaves and other flora discovered along the way. 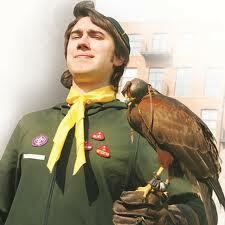 As well, I had to know first aid, the constellations, and the names of birds and animals we encountered. Perhaps the greatest challenge was to light a fire without a match and keep it alive. As I recall, the journey was a distance of some 20 miles or more through some pretty rough terrain. I remember much of the route to this day. I also remember being tired and quite hungry when it was over. It had tested my skills, my endurance and my preparedness. In some senses, we cannot be prepared for the eventualities of living. It is often a journey that is full of surprises. 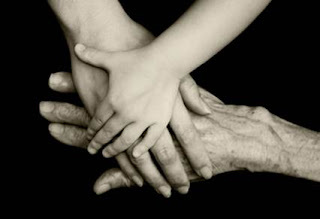 Although other people with Parkinson’s have walked the path way ahead of us, they will have experienced it differently. But, just like a Boy Scout on a wilderness survival camping trip, dealing with Parkinson’s disease requires some preparedness. How can we prepare to deal with a chronic, currently incurable, degenerative and debilitating disease with all its variables, offs and ons, shaking and freezing and ever-changing regimen of medicines and therapies? As a fellow traveler on this journey, let me share seven things I have learned in the seven years since my diagnosis. 1 Don’t try to go it alone. There is no need to. Let someone else walk alongside you. If not physically present, a companion who is electronically present can help. For safety and sanity, stay social, stay connected. 2. A map used by others can be a helpful tool, even if not perfect. Reading about, listening to, communicating with other people with PD can provide encouragement and advice as to how they made their way along the pathway. 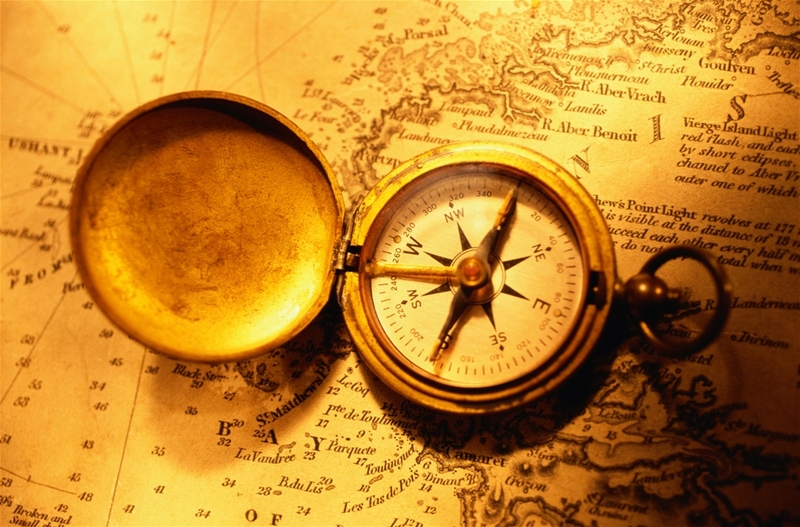 Their experience, their map outlining the way they went, can be incredibly useful in plotting your own course. 3. Sometimes all you need to know is the direction you need to go. A compass is a simple instrument that points True North. Just like the key principles in your life, it will point you in the right direction. 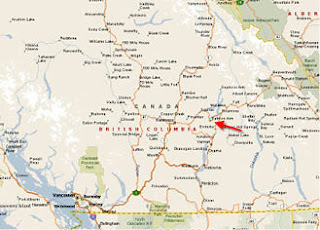 When you’re feeling lost the map may not help you. But a compass will orient you. Keep your eye on the direction you’re heading, the important values you believe in. 4. Have a place of shelter. In survival camping you learn to make a shelter under varying circumstances. When darkness falls or inclement weather approaches, a convenient sheltering tree, rock overhang, or even a cave (uninhabited you hope) can provide shelter. Finding a place of comfort when it’s time to stop and rest is important for our soul. Where do you retreat when the storms roll in and it is difficult to keep going? Find a place. 5. Treat your body well. Eating, exercising, and resting are all fundamental to enduring our battle with Parkinson’s, just as they are to enduring survival mode camping. Having the disease is like being in a wilderness where the fundamentals are sometimes difficult to maintain. Take care yourself. 6. Learn what you can. Being on a wilderness hike provides the opportunity to observe and experience in special, even unique, ways. Parkinson’s disease provides similar opportunities to discover the unique abilities of our bodies, and how those same bodies can react to disease. But it’s not just the disease that we can study. It is how we can fight, and even conquer, its effects. The more we know about our ailments, the more we know how to respond to them. 7. Finally, when you’re tired, discouraged and have limited desire to carry on, persevere anyway. We need you to keep the fire alive, grit your teeth and push harder along the journey. Even if no one else notices, be your own hero. Take each day as it comes, with its challenges and opportunities, and makes the most of it. Bonded Or Abandoned in Troubling Times? Elsa was an extraordinary woman. She died on January 15, 2013. Even at 79 it seemed too soon for her to go. She was my mother-in-law. I loved her. None of the normal mother-in-law jokes applied. Amazing as she was, she did not have what you would call a “high-profile”. In fact, from a public perspective her passing will garner little more attention than the obituary published in the local newspaper. However, she left an awesome legacy, an endowment of sorts. An investment that will continue to pay dividends decades into the future. Let me explain. The days leading up to Elsa’s death were deeply troubling for her family. Starting in November last year it was the blood clots causing pain, swelling, fatigue and fear of anticipated repercussions. Numerous hospital visits didn’t seem to provide any real answers. Then, in December, she suffered a stroke that hospitalized her for what was thought to be a relatively short period of observation. The day she was to be released she suffered a heart attack, which resulted in the widespread cancer being found. There was no medical solution. The family listened, their tears falling onto the table in the ICU conference room as the oncologist sensitively described her terminal condition. Elsa’s wishes had been made clear in her Health Care Directive; there was to be no artificial extension of her life under the circumstances. During the whole time of her hospitalization, including at the moment of her last breath, her room was filled with family. 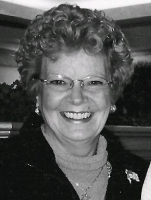 Children, grandchildren, and spouses of both, all cherished the opportunity to hold Elsa’s hand, praying, singing, whispering in her ear how much each of them loved her, and even laughing. While many patients in that ward lacked even a single visitor, hospital staff expressed astonishment as each day’s 24 hour family vigil lovingly continued. Despite the soul-searching challenges that always seem to arise in these moments, the bonding evidenced by Elsa’s family was the finest tribute possible to her life’s work as a wife, mother, grandmother, and great-grandmother, and even mother-in-law. Everyone knew they were loved by her, and by each other family member. It was expressed not only in words but also when language could not express the sense of impending loss and grief. Not a single family member was outside the circle. No one was abandoned. 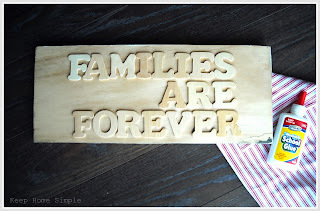 The family had been bonded together by glue that had taken a lifetime to lovingly apply. 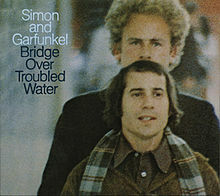 To use the word picture of the Simon and Garfunkel 1970 hit, they together formed a “Bridge Over Troubled Waters”. Some families on that same hospital floor appeared to be drowning in troubled waters rather than bonding. Take the woman, dressed in hospital gown and slippers, who literally chased her scruffy, glassy-eyed, smoke-saturated son on his speedy retreat through the lobby. His escape was hastened by her shouting, “Don’t ever come back here! I never want to see you again”, followed by other damning injunctions punctuated with expletives rarely heard in a hospital hallway. The true character of a family, or of individuals for that matter, seems to become evident in troubling times. Sitting in that hospital room, reading her favorite Psalms to my mother-in-law as she waited to die, I felt a deep sense of sadness juxtaposed with an even deeper sense of peace and confidence. There was no unfinished business; no messages of love left undelivered. Her life’s testimony stood around her; a family bonded together. There are many events in life, testing times when families either fall apart or pull together. Some members will feel lost, even locked in loneliness, while others will feel embraced and empowered. Elsa’s family members are definitely in the latter category. These last few weeks have reminded me – I must continue to reinvest my “riches”, ensuring that I pass on the legacy so selflessly invested in me by my much-loved mother-in-law and others. 150 years ago life was much different. Almost everything we take for granted didn’t even exist for the general population back then. This includes the basics; clean water, readily available food, a system of healthcare, basic human rights, or even basic sanitary safeguards. Living, for many, was a relatively short, hopeless, miserable subsistence. And yet, for some, as dingy, desperate and depressing as it was, life still held meaning, even significance. Somehow, people found redemption and purpose in the rubble of human existence. Sometimes, despite, or perhaps because of, the devaluation of human life, people do the unimaginable and put others first. 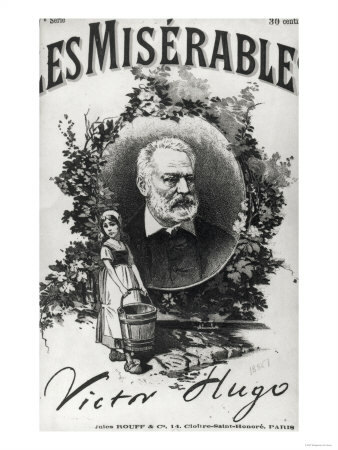 Les Miserables, the miserable ones, is an archetypal story packed with the power and purpose of love and selfless devotion to others. Although every subplot is full of loss, pain, sadness and injustice, those starless black nights do not prevail. It is the costly blood-red sunrise of grace, forgiveness, hope and courage that wins out. In the epic novel, as in life, only through sacrifice can the evil of self-interest be defeated. Watching the 2012 movie rendition seemed like a fitting way to spend New Year’s Eve, although, even with his extraordinary acting talent, I did have trouble accepting Russell Crowe singing his lines. 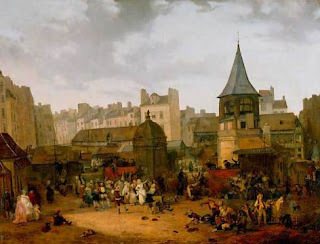 The book was written some 40 years after the events, giving some historical perspective to the author who lived in Paris through the explosive days of the 1820s and 1830s. They must’ve been soul-searching times for Victor Hugo, challenging his worldview on topics from politics to the plight of the poor, religion to legalism, the coexistence of depravity and goodness in the heart of humanity. One feels the inward battle being fought daily behind the barricades thrown up in the alleys and avenues of life. 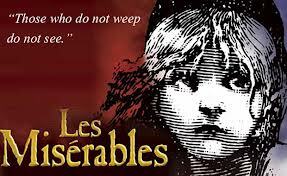 All the while we echo the words of Fantine, mourning the loss of what could have been. “I had a dream my life would be so different from this hell I'm living!” Little wonder the book was written in 365 chapters, a type of devotional, giving us one reading for each day of the year. We are all prone to succumb to self-pity when called upon by life’s circumstances to suffer. And like ex-con 24601, Jean Valjean, we have a decision to make when faced with adversity, unfair, undeserved and unanticipated though it may be. We all must answer the question “Whom Am I?” We must choose. Will we be a number existing on paper or a person living with purpose?